Osteoporosis affects over 44 million men and women in the United States and causes approximately 2 million fractures every year – with hip fractures being the most common and serious. Osteoporosis is a disease that cannot be cured but can be managed and controlled. At CMC, we offer an osteoporosis treatment program called B.O.N.E.S. – Building On Nutrition, Exercise & Strengthening. This program is based on a 3-prong approach that includes medication, nutrition and exercise. Osteoporosis is a disease where bone loss occurs, which makes bones become weak. our bones are constantly regenerating – new bone cells are created, and old bone cells die. The term ‘bone loss’ means that one’s body loses more bone cells than it produces. Osteoporosis can be a silent disease not causing pain or obvious symptoms. Symptoms of osteoporosis may include postural problems and pain, broken bones and fractures – with hip, spine and wrist fractures being the most common. Osteoporosis is diagnosed by administering a Bone Densitometry or DXA scan. This is a low dose x-ray that checks an area of the body, such as the hip, hand or foot, for signs of mineral loss, which is an early sign of bone thinning. Osteoporosis can be managed to reduce the risk of falls, fractures, pain, and inactivity. CMC’s B.O.N.E.S. Program helps those diagnosed with osteoporosis remain as healthy and active as possible through nutrition and exercise. Comprehensive treatment for osteoporosis typically includes medication, diet and activity/exercise.  While your physician will determine the best medication options available for you, CMC’s B.O.N.E.S. program offers patients a comprehensive program focusing on nutrition – including smoking cessation, and exercise. Our team of medical professionals will assess your current diet and activity level and provide consultation and guidance based on your individual needs. In addition to any medication prescribed by your physician, we will create an individualized treatment program that is best for you. Our goal is to provide you with the tools you need to actively manage and control osteoporosis and get you as healthy and active as possible. For more information about Osteoporosis, join us for a free seminar.